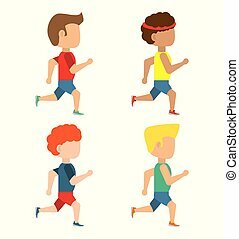 Flat vector set of people in running action. professional athletes. runners in sportswear. 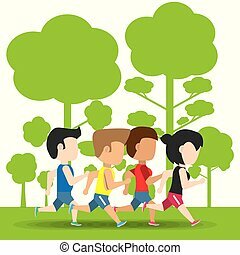 active and healthy lifestyle. 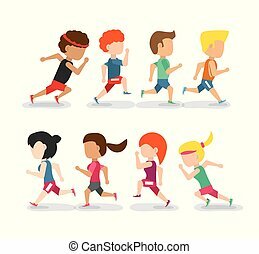 Set of people in running action. professional athletes. runners in sportswear. 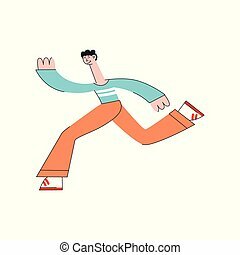 Vector illustration of man running in flat style for healthy and active lifestyle concept. 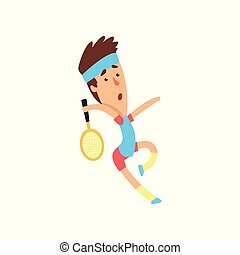 Male character in sportswear doing cardio workout isolated on white background. 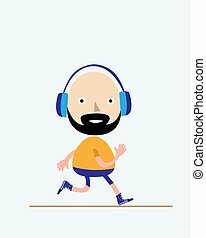 Man running in flat style for healthy and active lifestyle concept. Vector. 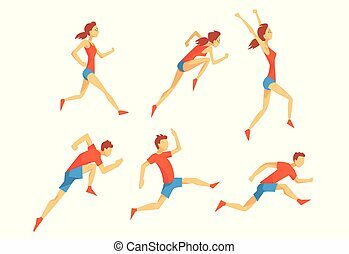 Running people vector illustration set in modern flat style. 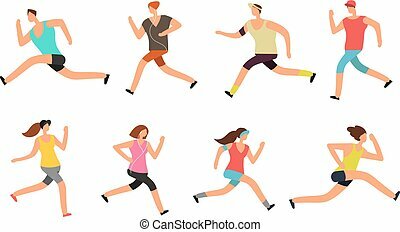 Various men and women in sportswear moving fast and active isolated on white background for healthcare and sporty lifestyle concept. 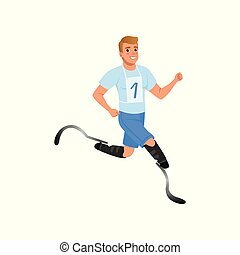 Vector illustration of sportsman running in trendy flat style. 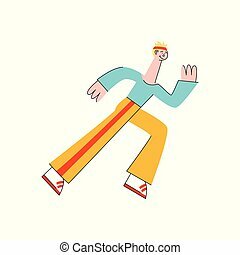 Male character in sportswear doing cardio training isolated on white background for healthy and active lifestyle concept. 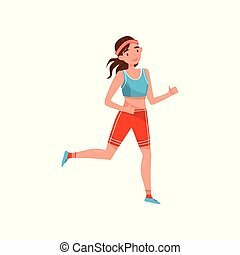 Young woman running, professional sportswoman character in sportswear, active sport lifestyle concept vector Illustration isolated on a white background. 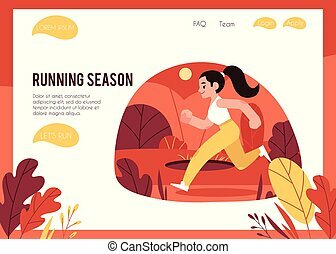 Vector illustration of healthy and active lifestyle concept with woman in sportswear running outdoors in autumn in flat style on web page template. Young girl jogging in fall season. 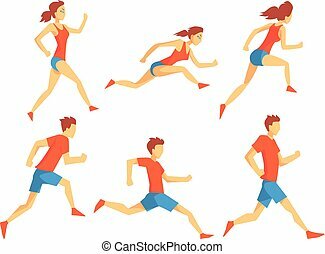 Set of athletes in running action. Man and woman dressed in sportswear. 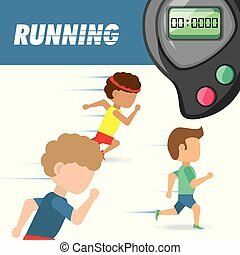 Professional runners. Active lifestyle. Cartoon people characters. Colorful flat vector design isolated on white background. 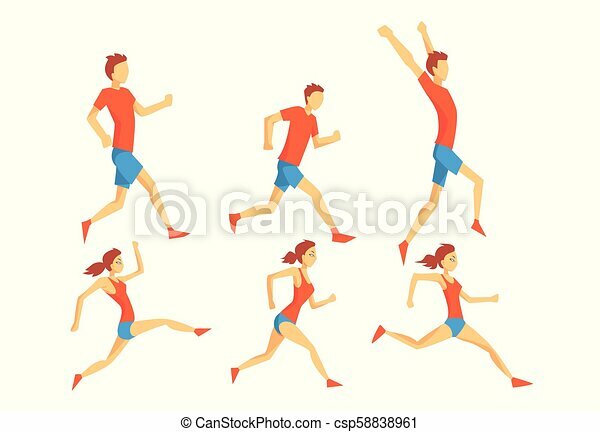 Set with energetic man and woman in running action. Athletes in sportswear. 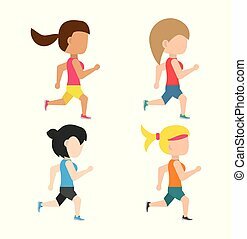 Cartoon characters of professional runners. Active sport people. Colorful flat vector design isolated on white background. Set of sports people in gym. Group fitness training. Active and healthy lifestyle. 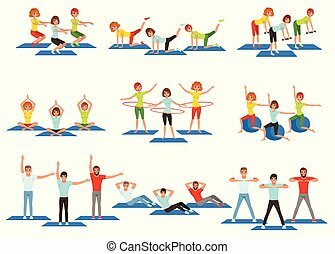 Men and women doing various exercises. Young girls and guys in sportswear. Flat vector design isolated on white. Two cheerful guys running marathon. 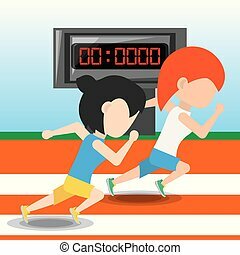 Cartoon characters of young men in sportswear with numbers on chest. Active and healthy lifestyle. Design for advertising poster. Flat vector isolated on white. 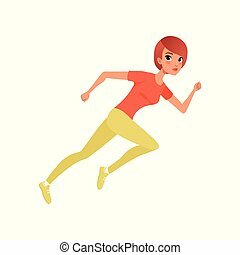 Beautiful athletic woman running sprint. Young red-haired girl in sportswear. Active lifestyle. 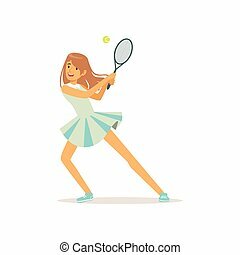 Cartoon female character in action. Colorful flat vector illustration isolated on white background. 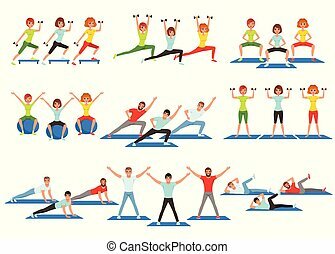 Set of people working out in gym or fitness center. 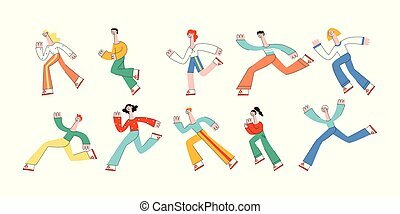 Young girls and guys doing exercises. Physical activity. Healthy lifestyle. Men and women in sportswear. Flat vector illustration isolated on white. 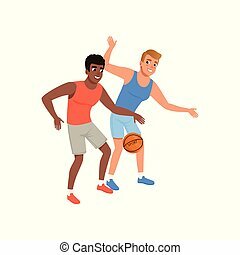 Caucasian and Afro-American guy playing in basketball. Active lifestyle. 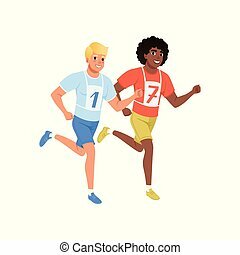 Cartoon characters of two young cheerful men in sportswear. Colorful flat vector illustration isolated on white background. Cartoon young girl skating on skates. Professional figure skater in elegant costume with skirt. Cheerful woman character in action. Flat vector illustration isolated on white. 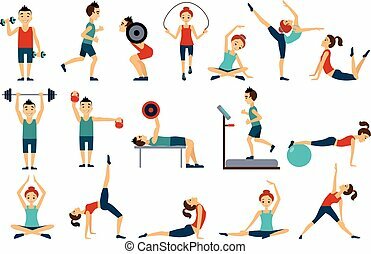 People in gym set, workout man and woman exercising vector Illustrations isolated on a white background. 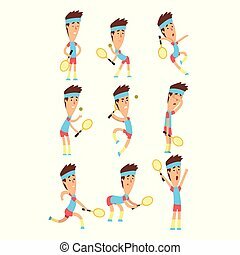 Set of young tennis player standing with racket in hand in different poses. Active sports game. Cartoon boy character in blue t-shirt and red shorts. Colorful flat vector design isolated on white. Cartoon young girl skating on skates. 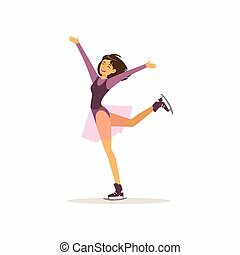 Professional figure skater in elegant costume with skirt. Cheerful woman character in action. Olympics sport concept. Flat vector illustration isolated on white. 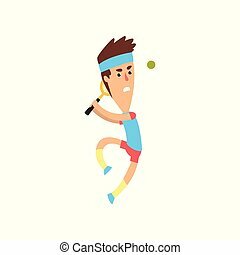 Cartoon man character in action with racket in hand ready to hit tennis ball. Guy wearing sportswear: t-shirt, headband and shorts. 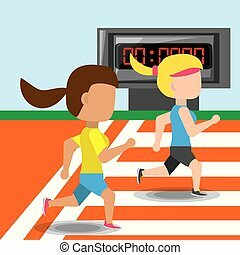 Summer Olympic game. Flat vector illustration isolated on white.